The LEGO brand is much more than just building toys for children. It is a concept that captures imagination in a fundamental way that few other properties can claim. LEGO is also much bigger than that original idea introduced in the 1940s. LEGO is pervasive in our popular culture and even used as a teaching tool. It serves as the basis for toys, of course, but also books, movies and even video games! The first LEGO video game was LEGO Fun to Build. It was released in 1995 for the Sega Pico—not quite a household name. 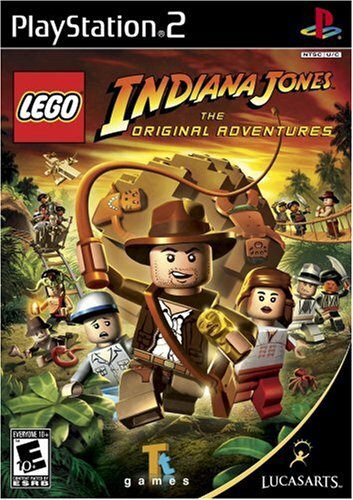 Since then, LEGO has launched more than 70 video game titles. Some of these are based on their own properties, such as LEGO City and Ninjago. Others are based on iconic licenses, such as Marvel’s The Avengers and Jurassic World. 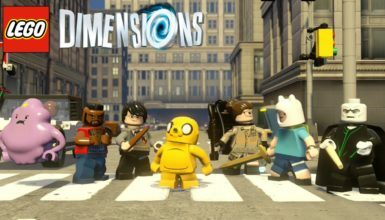 With the LEGO Movie 2 Videogame having just released and the LEGO Marvel Collection soon upon us, we thought it would be a great idea to look back on 25 years of LEGO videogames. We have selected the 10 best as of 2019. Let us provide a quick review and highlight what really sets each title apart. The Complete Saga is actually two games in one. 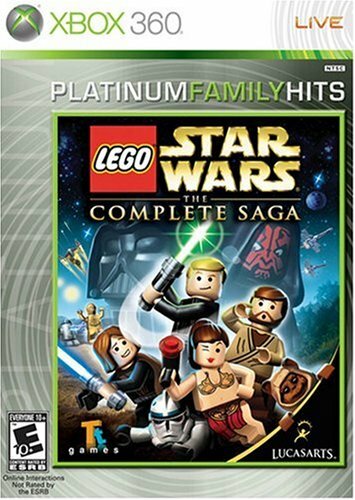 It combines Lego Star Wars: The Video Game released in 2005 with Lego Star Wars II: The Original Trilogy released in 2006. As the game unfolds, you experience the iconic scenes from all six Star Wars movies and do a lot of puzzle solving to boot. These Star Wars games are special in the history of LEGO not just because they are great games. They broke the licensed video game curse and established LEGO as brand that could deliver on iconic licenses. Additionally, they helped to establish the LEGO video game formula that we all know and love: stud collecting, unlocking characters, gated access requiring certain characters and so on and so forth. The Original Trilogy can be a little easier to find based on your platform, and it is the superior game because it builds on and refines the first in almost every way. But there is something truly special about playing through the movies in chronological order rather than the order of release! • Create a custom superhero! With LEGO Marvel Super Heroes, Traveller’s Tales arguably perfects the formula that they had created with the Star Wars games. Certainly, games like Harry Potter and Ninjago would come along and push the formula in new directions, but this is it the core of it fully realized and refined. 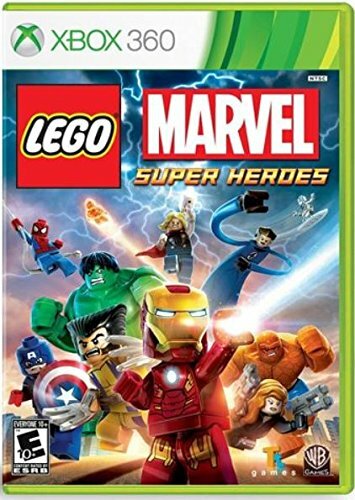 The Marvel game is interesting in that Warner Bros. is the main publisher of LEGO games at this point, and so, you essentially have Marvel and DC coming together to create a game that features Spider-Man, Captain America, Iron Man, Hulk and even Squirrel Girl. In fact, the sheer selection of what casual fans will deem obscure comic book characters is truly impressive and an activity in its own right. Marvel Super Heroes takes a back seat to Star Wars on our list because the story is not as engrossing and developed. But the more than two dozen replayable main missions and bonus missions are truly great, and there is more to do in the open world than with any LEGO game not called Undercover. 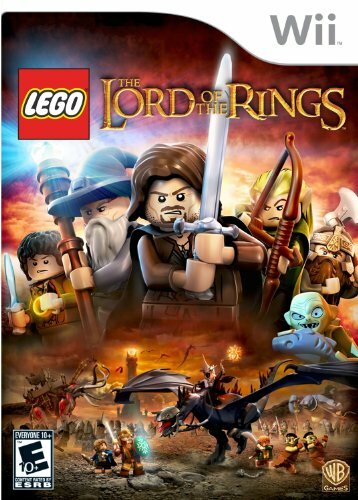 LEGO The Lord of the Rings released in late-2012 less than a year before LEGO Marvel Super Heroes in 2013. It is an impressive feat then that Traveller’s Tales was able to deliver two of the best games in the LEGO library in such a short period. Like the Star Wars games, this game takes you through the key scenes from The Lord of the Rings trilogy. The set pieces are massive and arguably the best in the series. The environments are gorgeous, and you even have access to action levels that touch on battles covered more in the books than the movies. One of the clever ways that this game manages to distinguish itself is that you have an inventory and access to crafting. It is not a full-blown RPG by any stretch, but it is a great deal of fun to find blueprints, create new magic weapons and armor and to upgrade your power through gear. 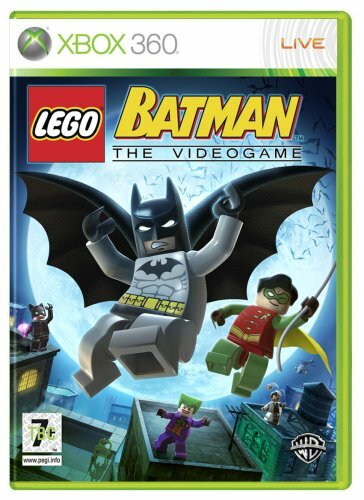 LEGO Batman: The Videogame was a fine game. It had its share of issues but showed that Traveller’s Tales did not necessarily need the proven story that came with Star Wars or Indiana Jones. It was also very Batman-centric. Almost every available character is directly from the extended Bat-verse. 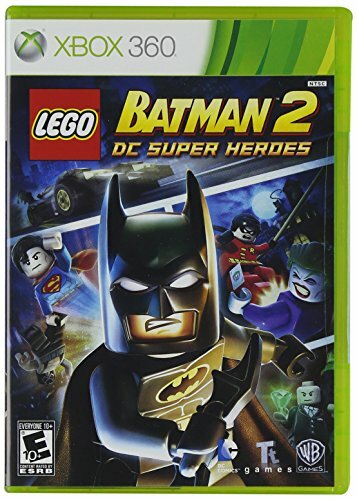 With LEGO Batman 2: DC Super Heroes, the concept broadens to the entire Justice League, and we can see the foundation for what would be LEGO Marvel Super Heroes being set. The character selection is not as audacious as it is with the Marvel game, but the voice acting here is top-notch, and this is arguably the best story in a LEGO game that was not just mined from a preexisting and proven story. Previously, studio TT Studio had served in an ancillary role to Traveller’s Tales. 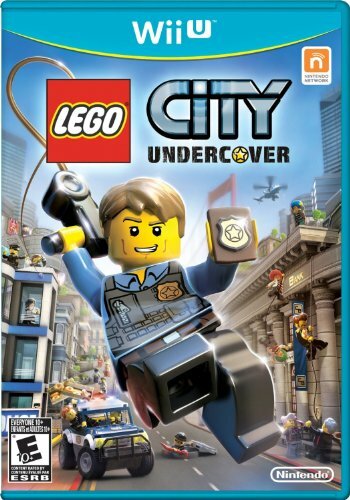 LEGO City Undercover was its chance to shine on its own, and it was quite the challenge because this was a LEGO game that did not have the security blanket of an iconic license like Star Wars or Batman. TT Studio was challenged with basing a game on LEGO City, which is a building set theme. A focal point of this theme is emergency services, such as the police, so TT Studio did an interesting and brilliant thing. They essentially created a Grand Theft Auto clone that was toned down enough for children and flipped the script by making you the good guy who is in pursuit of the bad guys. LEGO City Undercover does not have the character selection many other LEGO games boast. But it does have the most ambitious open world, and even when you have 100-percent-ed the replayable missions, you will still have a lot to do in the open world, including pilot more than 100 distinct vehicles! Toys to life is a video game concept introduced by Skylanders in which kids buy action figures that then show up in their game. Disney expanded on that idea by letting kids pick iconic characters like Luke Skywalker, Spider-Man, Elsa, Woody and more. With Dimensions, LEGO delivers icon characters, often exceeds the gameplay of Skylanders and integrates LEGO building. 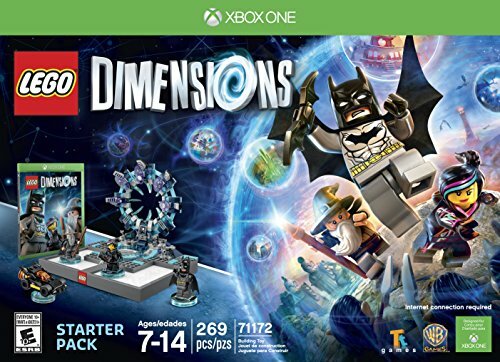 LEGO Dimensions is a hobby in the manner LEGO building sets are, and that is something no other LEGO video game has achieved. It is a shame that Warner Bros. chose not to continue supporting it, but the good news is that there are still many sets and characters available for the enthusiasts. 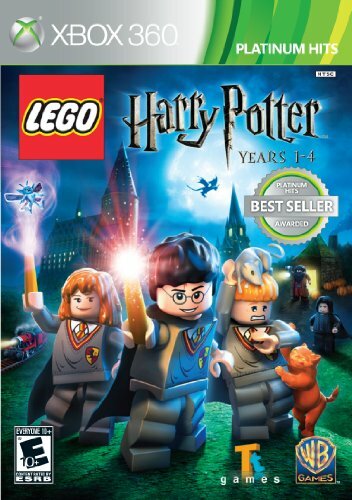 Here we actually list two separate titles: LEGO Harry Potter: Years 1-4 and LEGO Harry Potter: Years 5-7. As of this writing, a collected edition has not been released, but this is essentially one massive game split into two halves. If you enjoy the first, you will undoubtedly want to complete the second. As you would expect at this point, LEGO Harry Potter takes you through the key moments of the films as well as lets you explore the many environments from them. This iteration manages to shake up the formula with a spell system. Rather than choose a particular character to bypass a lock, you have to choose the appropriate incantation, which may be limited to a character or available to all. LEGO Harry Potter: Years 5-7 builds on that spell system by adding new invocations, items and abilities but also with a new dueling system that pits two sorcerers against one another. This is an engaging system and the best LEGO combat at least until the LEGO Ninjago Movie Videogame came along! There is no denying that LEGO Batman can seem a bit rough around the edges in retrospect, and it certainly received its share of criticism at release due to poor AI, hard-to-judge platforming and puzzles at times that made little sense and had to be beat by guessing or googling. That said, LEGO Batman is an at-times fascinating journey through Gotham. What sets it apart is that when you finish acts one through three as Batman and Robin, you tackle four through six as various characters from the rogues’ gallery: Joker, Riddler, Penguin, Mr. Freeze, Bane and much more! What the developers have done best with these LEGO games is really lean into their licenses. With Indiana Jones, you expect artifacts to hunt, tombs to rob and puzzles to solve, and you get that here in spades. The puzzles are particularly noteworthy and a step up for LEGO games in general. As with the other licenses based on films, your journey is marked by key moments in the films. One moment in particular stands out. It is the iconic mine cart ride from Temple of Doom, and the experience is memorable enough that you may want to play the game just to enjoy that experience. 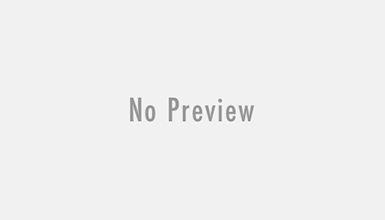 Rock Band is a series in which one to four players can pick up a microphone, guitar, drumsticks and various other instruments and play along to the game. It is meant to create the experience of being a rock star. It is edgy, and the music is not always family-friendly. 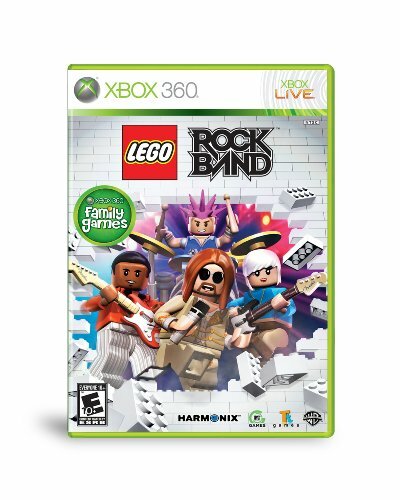 With LEGO Rock Band, what we get is essentially a LEGO skin of Rock Band that limits itself to songs and LEGO set pieces that kids of all ages can enjoy.